Abu Dhabi is a sprawling, futuristic city set on the coast of the Persian Gulf. As the capital of the United Arab Emirates, this city’s wealth is shown through its colossal skyscrapers and modern technology. While there are multiple forms of transportation that reach this megacity, taking a cruise is the best option. One of the most stunning views of the city can be seen from the Persian Gulf. Furthermore, several parts of the city are easily reached by boat. Taking a cruise to Abu Dhabi carries several perks and advantages. The capital of the UAE is rich in attractions and activities for visitors of all ages. 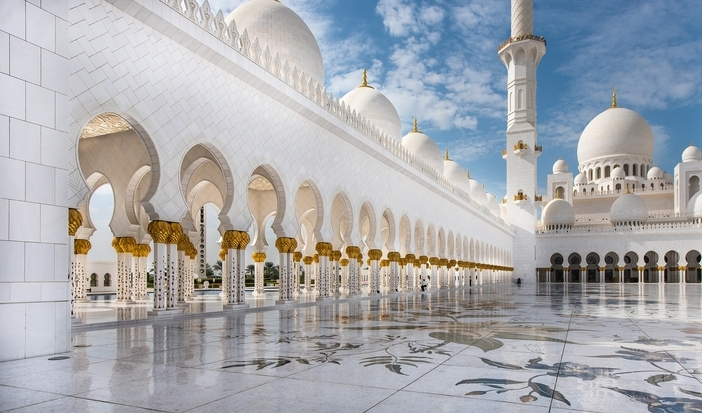 The Sheik Zayed Grand Mosque is one of the most popular attractions for travelers. The sheer size and architectural beauty of this mosque is incredibly impressive. 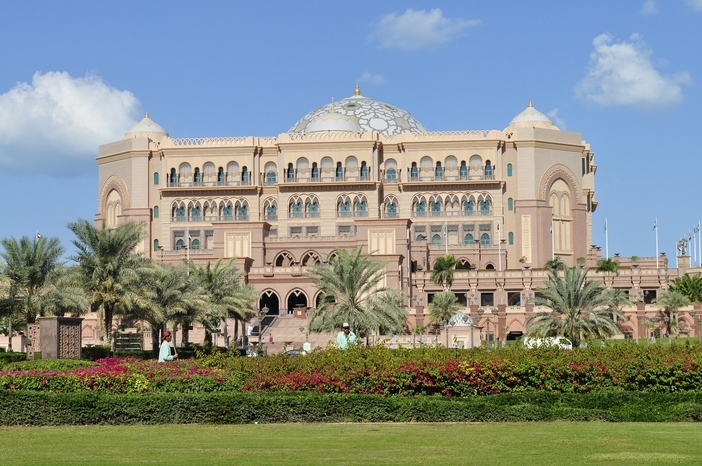 The Emirates Palace is another must-see building when taking a cruise to Abu Dhabi. For those visitors who want to steer clear of sight-seeing, Yas Island will be the go-to destination in Abu Dhabi. This island is easily accessible from the mainland and has a large selection of amusement rides, themed games and more. Yas Island also features an indoor golf course and a Gran Prix race track. There are enough attractions to keep families busy for an entire day. 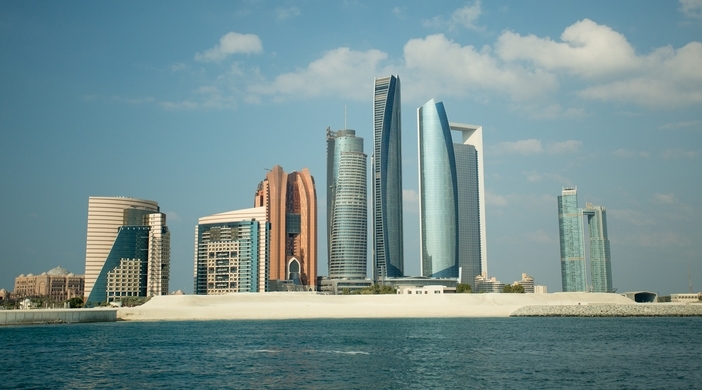 When taking a cruise to Abu Dhabi, there are a few important tips to keep in mind. First and foremost, visitors should take advantage of the unique cuisine. This region is known for Middle Eastern dishes with a strong focus on seafood. 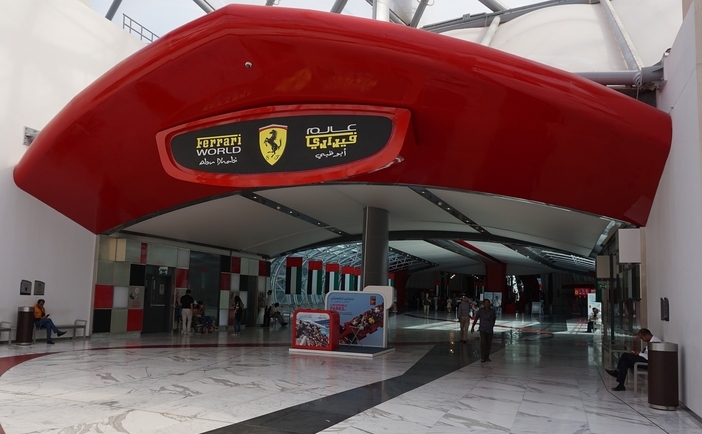 Another great tip is to visit the Abu Dhabi Mall in order to shop in over 200 different stores. This waterfront mall offers a great respite from the warm weather and an excellent selection of different clothing and styles. There are several other malls throughout the city that are also along the coast. Abu Dhabi is one of the most beautiful and impressive cities to which travelers can take a cruise. Consider making this city part of your next cruise vacation.